Do You Feel Like You Understand What Your Pets Want To Tell You? Do You Want to Create Harmony and Overall Wellness in Your Pet's Life? Your pets are communicating with you all the time and love it when you can hear their "voices." Animals want you to understand what they are thinking and feeling. Using telepathy, I interpret animals' thoughts, feelings, and viewpoints during an Animal Communication phone or in-person session. Communicating telepathically with your animal family shows them that you honor and respect what they are feeling and what's in their hearts. ​When you give your pets a "voice," you can receive answers to your questions. Not sure what to ask? There are many reasons to communicate with your animal family. Animals come into our lives is remind us to be heart-centered and use our intuition. They are also our teachers and guides besides being family members. Reiki is a powerful yet gentle energy healing modality that helps animals and humans feel relaxed and peaceful. This gentle, loving energy brings balance and harmony to your animal's entire being: mind, body, emotions, behavior, and spirit. Pets love receiving Animal Reiki because they intuitively recognize the power of this "Spiritual energy" and understand it can help them feel their best in mind, body, and spirit. Animals love receiving distant Reiki in the comfort of their home. Reiki promotes and maintains overall wellness and assists with the healing process when pets are sick or injured. Reiki clears blocked energy which alleviates stress, anxiety, physical pain, and post-traumatic stress disorder. Animal Reiki is holistic by nature, compliments all healing modalities, and causes no harm. Everyone is born with the ability to communicate using the universal language of telepathy and offer Reiki. Cathy will help you develop your abilities to understand animals' thoughts, feelings and viewpoints as well as learn Reiki so you can help the animals in your life feel their best. ​Training with Cathy is fun, interesting and will nurture your animal communication and Reiki skills. 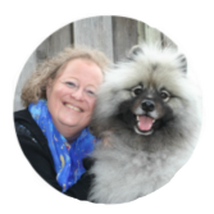 For over 20 years, Cathy has successfully trained people in animal communication and Reiki. She holds a Master's in Education and Counseling. Your beloved animal wants to communicate with you after they transition to let you know how they are doing and remind you that they don't die. The part that animated your pet Animals in Spirit know that connecting with their humans with my assistance can bring solace and healing. By giving your animal In Spirit a "voice," can help you understand that your pet didn't die. When you receive answers to your questions from your Spirit animal, it can bring peace of mind during an upsetting time. ​Pet Loss is life-altering and heart-shattering. ​​Cathy offers Pet Loss and Grief Counseling to support you and your animal family during your grieving process. Clear and open communication is the cornerstone of all healthy and balanced relationships including your animal family. Using the universal language of telepathy, animals can share their thoughts, feelings, viewpoints, and hearts with you. I communicate telepathically with all species of animals: domesticated, farm, and wildlife. I also give animals In Spirit a "voice" and offer Pet Loss and Grief Counseling to help people cope and deal with the loss of a beloved animal companion. Want to know what your pets are thinking and feeling? It's as easy as calling or emailing me so you can receive answers to your questions. "You’re such an excellent communicator! It’s so nice not to have to ask … what do you mean, can you explain, or that doesn’t make any sense. You’ve combined your incredible knowledge of animal behavior, with your client’s conversation, to provide insight, which means common sense solutions. And for the right situations, you also provide us with confidence and affirmation! That’s such a wonderful gift to give to people!! Thank you for the joy you create through better communication! It is so good to see your services are thriving, along with a beautifully refreshed website! Distant Animal Reiki helps your pets release blocked energy like stress, illness, and pain to improve their quality of life. Reiki helps animals feel relaxed, balanced, and peaceful. One of the best parts about Reiki is it heals and causes no harm. Reiki (pronounced "Ray-Key") is a Japanese healing energy technique that helps people and animals to feel their best. This "spiritual energy" provides support in all aspect of your pets' lives: physically, emotionally, mentally, and spiritually. Animals love receiving distant Reiki in the comfort of your home lying in their favorite spot. Animals have tremendous wisdom and want you to hear their musings and offer Reiki because it's your birthright to do so. Everyone, including you have the ability to communicate telepathically with all living beings especially the animals in your life and offer Reiki. For over 20 years, Cathy has successfully trained 100s of people to communicate telepathically with animals both alive and In Spirit as well as develop an Animal Reiki practice. Losing a pet can be life-alternating and devastating. Animals In Spirit want to communicate with you to let you know how they're doing as their Spirit lives on. Talking with your pets who have transitioned brings tremendous solace despite the pain of your grief. It also brings comfort and helps your departed animals heal because it brings them joy when you stay connected with them. ​As a Pet Loss and Grief Counselor, I offer you and your animal family support and understanding to help you cope and deal with your grief and loss.